Greek’s Pizzeria is a franchise business owned by franchisor Athanasios Chris Karamesines dating back to 1969. It was through his vision in which he opened up his first pizzeria at the age of 17. Karamesines had worked in about every pizza franchise in the United States and knew what they were using in their recipes and thus, learned the pizza trade from the crust up. The longevity and success of his business comes from using fresh vegetables, all milk cheese instead of skim milk cheese and cooking it all on Neapolitan, hand tossed dough that is made fresh daily. 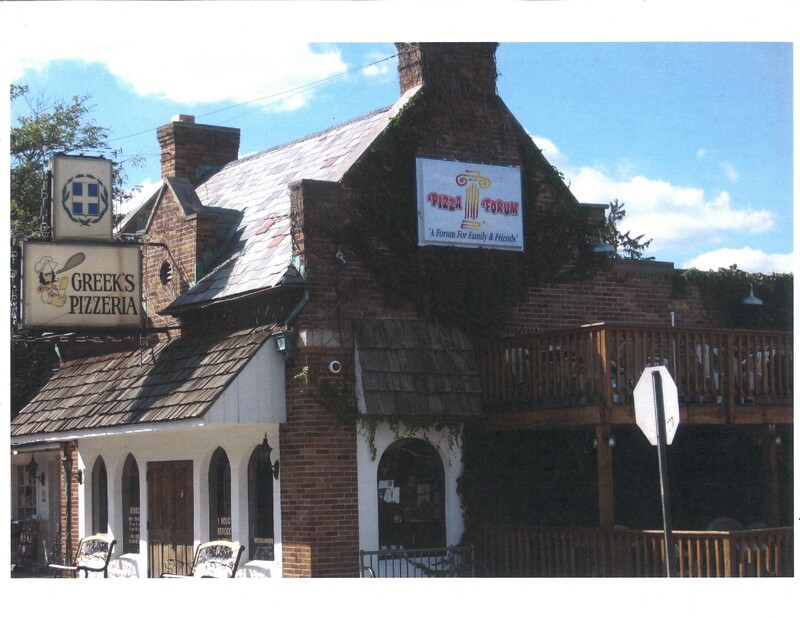 Greek’s Pizzeria uses an enclosed or open kitchen concept, using wood or gas-fired ovens. Full service dining, carry-out and free delivery service is available. Specialties include gourmet pizzas, garlic butter breadsticks, pizza shells (calzones), pastas, sandwiches and subs. Greek’s Pizzeria offers a relaxed atmosphere with personalized attention and customer service as well as excellent food quality. If it ain’t broke, don’t fix it!! Since 1969, there’s been meticulous attention given to the ingredients and methods to produce one of the best tasting pizza pies in what seems like an ever-changing “foodie” world. As of today, Greek’s Pizzeria boasts 18 independent, locally owned and operated locations within Indiana. While a majority of the locations are north of downtown Indy, all southsiders can now rejoice because Franklin is now home to Greek’s Pizzeria & Tapp Room! So who’s the Tapp behind The Tapp Room? Jason Tapp is owner of Greek’s Pizzeria & Tapp Room. He is a life-long Indiana resident, attended Greenwood High School and graduated from Indiana University in Bloomington. After spending 15+ years in corporate America, the decision was made to follow his passion – pizza & beer!! This has certainly been a collaborative effort with the help of friends and family all sharing a common goal. The goal is to provide Franklin with a new gathering place for families and friends to enjoy great eats and libations. In essence, the menu will serve to satisfy the taste buds of pizza lovers, pasta junkies, salad goers and, of course, beer enthusiasts. Choosing to base Greek’s Pizzeria & Tapp Room out of Franklin was a fairly easy decision. The City of Franklin has so much to offer — resonating that “All-American” vibe. Not only does Franklin serve as a notable college town, it plays host to a vintage movie theatre, local boutiques, bed & breakfast inns, farmers’ market, and of course the street festivals. It’s a city on the “come up” and we are very proud to be a part of it! The concept behind the Tapp Room was simple – pair great food with great beer! As the craft beer craze continues to grow (especially locally), the Tapp Room will serve as a venue to showcase local craft beer on rotating taps. For those of you who have not accepted the imminent onslaught of craft beer, we will still support your loyalty to the staple domestics and imports! With that being said though, we encourage you to ask questions, try something new and provide feedback because the beer selection will be 100% determined by YOU, the customer. With a 30 tap system at our disposal, there should be something for everyone! Not a beer nut? Not to worry because our full bar will have what you need for your favorite cocktails as well as varietal wines. © 2019 Greek's Pizzeria All Right Reserved. Site DesignMedia-Bug Web Design.